Not quite as large as today's classic whites, but certainly getting there! 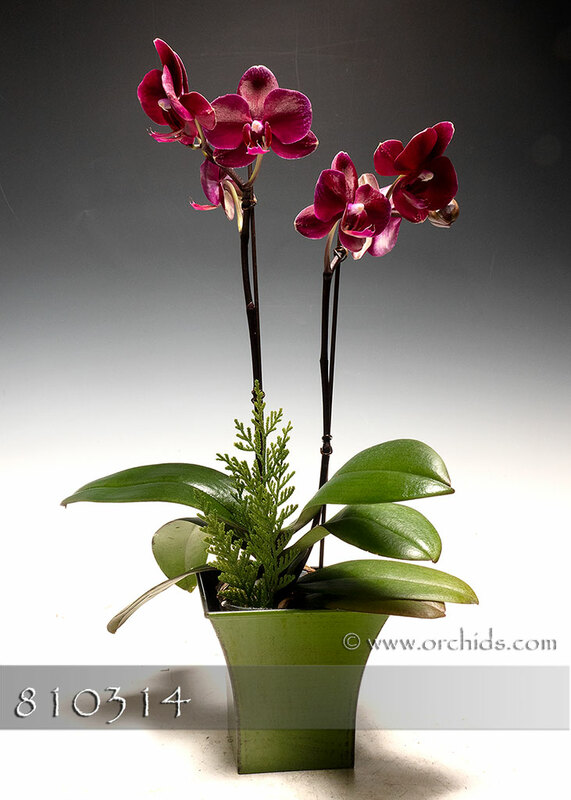 Our exclusive magenta harlequin Phalaenopsis boasts one of the largest flowers produced from this line of breeding with flowers reaching 3.25" in size. Important enough to stand on its own with its consistently patterned bold markings, this arrangement stands 20" or more in height. Tucked into our own decorative cache pot, simply finished with faux vines and jade Spanish moss.